Those who know this site know my affinity for the whole history of the band. Back in 1983, I was really into the Born Again album, and while I read before it came out that it might be a single album/project tour, I kept hoping we’d get another album from them in 1984. That didn’t happen, as Ian basically went straight back to Deep Purple after the Born Again tour, and I was pissed off at the time. I liked where they went with Born Again, and I was DETERMINED to hate the Deep Purple album that came from those sessions because of the breakup of the Born Again lineup of Black Sabbath. But Perfect Strangers changed my mind. It was too good. It was an outstanding album, and of the 19 studio albums Deep Purple has released from 1968 to 2013, three of them are what I consider “essential”. They are Machine Head, Purpendicular, and Perfect Strangers. Perfect Strangers was a PERFECT album for that time. The fake Deep Purple attempt in 1980 aside, nobody had heard from Deep Purple since the band split up at the end of the tour for “Come Taste The Band”. With good reason, it had fallen apart too much, and it needed to stop. But putting what is generally considered the best Purple lineup of all time back together, given the egos and hostilities – what kind of album would we get? We got Perfect Strangers, which came out and did wonderful, and was well, bloody brilliant. I keep waiting for either Eagle Rock or Universal to put out a 2 CD Deluxe Edition of that album (as they both have the rights to it, and it wouldn’t surprise me if they BOTH release one – that would be confusing). That hasn’t happened yet (I’m told it will), but in the meantime, we have a new DVD coming out from that tour. It’s called simply, “Deep Purple: Perfect Strangers Live”. It’s a recording from that tour, and will be available in just a couple of weeks on October 15th. The iTunes links & Amazon UK links are not available, probably will be there on release day. UPDATE: They released some more video. Here’s everything I’ve seen. This release is right around the corner, and if you remember the Perfect Strangers album as fondly as I do, you are going to want to check this out. While I haven’t gotten an official word on this, I’m hopeful to do a giveaway. More on that soon. In the meantime, check out the press release below, as well as some artwork from the DVD. RIGHT AFTER I posted this story, I got official word that I will be doing a giveaway. Once I figure out exactly how many copies and all that, I’ll get this up and running. Look for more details shortly. New York, NY (September 30, 2013)– On October 15, 2013, Eagle Rock Entertainment will release Deep Purple – Perfect Strangers Live on DVD, 2CD/DVD, DVD/2CD/2LP, and Digital Audio and Video. [Pre-book Order Date September 20, MSRP $14.98 DVD; $29.98 DVD/2CD; $59.98 DVD-2CD-2LP]. The DVD contains the only footage available from the “Perfect Strangers” tour plus a bonus tour documentary. The second available format offers 2CDs and the DVD of the live show packaged in a 3-disc slimline CD jewel case. The third format offers 2LPs, 2CDs and the DVD of the live show packaged in a 3-panel gatefold sleeve. Recorded in Melbourne, Australia in 1984, Perfect Strangers live is the only full-length concert film of the band at this time. The long-awaited reunion of the classic Deep Purple line-up Ritchie Blackmore, Ian Gillan, Roger Glover, Jon Lord, and Ian Paice, who re-united for the first time since 1973, had recorded a brand new studio album Perfect Strangers, and subsequently headed out on tour. The setlist mixes then new tracks from the Perfect Strangers album with favorites from the early seventies: “Highway Star,” “Strange Kind Of Woman,” “Perfect Strangers,” “Knocking At Your Back Door,” “Child In Time,” “Black Night,” “Speed King,” “Smoke On The Water,” and many more, which are brilliantly performed as only Deep Purple can deliver. Deep Purple is a musical force with a rich history, having boasted a wealth of incredible musicians and memorable eras. Perfect Strangers Live is a welcome addition to Eagle Rock’s extensive Deep Purple collection. Eagle Rock Entertainment is the largest producer and distributor of music programming for DVD, Blu-Ray, TV, Audio and Digital Media in the world. Eagle works directly alongside talent to produce top quality, High Definition and 3D programs, both concerts and documentaries, including The Rolling Stones, Pink Floyd, The Who, Queen, The Doors, Jeff Beck, U2, Peter Gabriel, Paul McCartney and Ozzy Osbourne. Eagle is a Grammy Award winning company and has received over 30 multi-platinum, over 50 platinum and over 90 gold discs, worldwide. Eagle Rock Entertainment has offices in London, New York, Toronto, Paris and Hamburg. 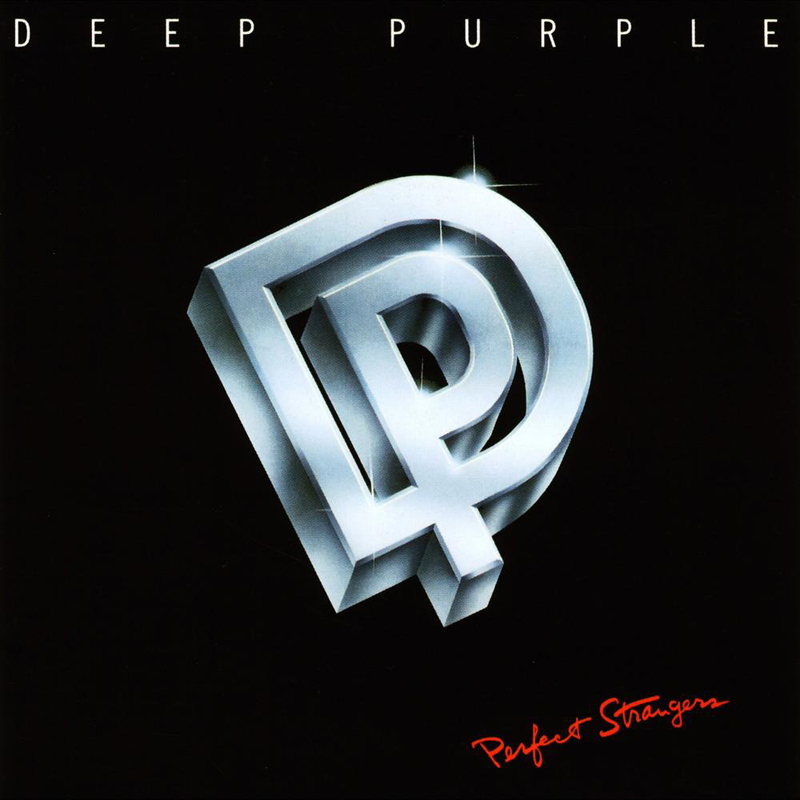 Yes, Deep Purple live, during Perfect Strangers is great. The new Black Sabbath DVD/CD is great news too. But the best/greatest news is what’s not being said. There are no studio tracks announced on the new Sabbath Live CD. 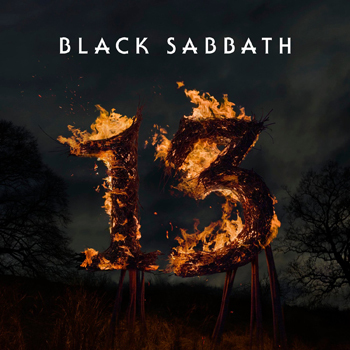 THERE WILL BE ANOTHER BLACK SABBATH STUDIO ALBUM, and I’m betting for late 2014. Look, they have 4 tracks** in the can, they’re already a third to half-way done. RockUSA Oshkosh 2014 – Live – Book it. Those four songs are from the 13 sessions. They won’t use those on a new album. If they do another one (and I’m NOT convinced it is happening), they’ll write new stuff. Won’t use use those. I saw 3 shows on that tour. Only concert where after seeing it I followed it to the next city because I was that blown away. What I remember about when they played Perfect Strangers was the green lasers going to the music all over the arena. Was awesome to watch. Too bad this video does not have the lasers. To the list of “essential” DP albums, I would add “Burn” and “Come Taste the Band”. As for “Perfect Strangers”, for me it is close to “perfect”. A guy I knew once said that he liked the “new” MKII albums better than the “original” MKII albums. I saw an interview with Gillan about this concert he said he had a bad flu and could barely make it through the show. BTW this was a few years ago way before this release. Yah, his vocals are not great and Blackers is a bit off as well but still visually stunning. For ‘essential’ Deep purple I’ll take Deep Purple in Rock (25th Anniversary Deluxe Edition), Live in Japan (3 CD MIJ Remix) and Listen, Learn, Read On (6 CD Box Set). The only song I liked on PS was the title track (it was a good promo vid. too). The cassette version of Perfect Strangers has a bonus track (they were doing it even then! But I chalk it up to the marketing dept of the record company more so than the artists trying to milk the last dollar) entitled “I’m Not Responsible” that is a great track, and fits perfectly in with the rest of the material. I was actually disappointed when I got the vinyl version and found it was not included. It would be a shame not to include it on any future editions. I’m listening to Perfect Strangers Live just while writing this. It’s really great. My favorite song at the moment is “A Gypsy’s Kiss”. It was broadcasted by the German TV station WDR for the ROCKPALAST Series. I remember seeing the Born Again tour, and dug the first half of it, more or less, until Gillan got too wasted on booze to be able to sing without slurring and not being able to hit all the high notes (tough as they were regardless). Same with many live recordings I have of that tour, and likewise for many of the DP concerts I’ve seen. In fact, I once had a seat that allowed me to watch Ian go behind the curtains between songs and during the mostly instrumental bits when he could, just chugging away at whatever his choice of poison was. And the concert would inevitably suffer for it by the time they did “Smoke on the Water”. 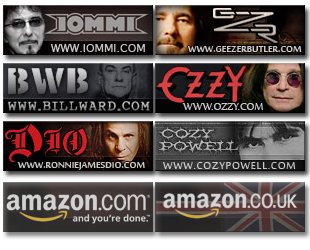 I can see understand why Iommi and company had to let him go. And (with flame shield held up high), I can also understand why Bill Ward had to split as well. If a drummer needs two teleprompters to let him know what to hit and when, he no longer has the rhythm in him. And I’m sure I’m not the only one here who knows of Bill’s drinking problem. Back to Ian … the last couple of DP shows I attended were noticeably better, and i didn’t catch our man Ian traipsing off to the distillery during the performance, and all was good and solid. Bill: Not sure whether he’s simply suffering for his past (like Ozzy), or whether he’s still hitting the grain, bulbing up his nose even more so, but i truly do miss the man that added so much to the original Sabbath sound. His drumming overdubs on “Children of the Grave” have as much to do with the allure of the song as Iommi’s dropped-down tuning, Geezer’s lyrics, and all other contributions involved. My favorite by far on the Perfect Strangers CD was “Knocking At Your Back Door” – can’t get enough of that riff! “Perfect Strangers-Live” DVD is currently the #1 best seller on Amazon.com under music video-concerts category. I pre-ordered the 2CD/DVD edition. I was 15 when “Perfect Strangers” was originally released and bought it on cassette, vinyl and eventually CD. If it hasn’t already been done, I think it would be a perfect candidate for a audiophiile SACD/hybrid reissue. I also purchased “Nobody’s Perfect” on release day and still have the original 2CD edition. Those are some of my favorite Purple albums from back then although I really enjoy listening to the early (60’s & 70’s) era Deep Purple and “April” is one of my favorite songs. WRONG! There’s the Paris concert from 7/9/85 shown on Rockpalast, German TV. It was reaired in beautiful digital quality shortly after Jon Lord’s passing and is widely available. just seen deep purple mate and also black Sabbath and deep purple are much better, best purple albums, are in rock, fireball, machine head, the battle rages on and the new album now what, so sorry your way off mate. This dvd rocks like a b*****d! Forget the crap about BS being better than DP,rubbish,totally different beasts,ridiculous even comparing them! Born again (one of my top BS albums) turned me onto DP. This show is amazing,superb performances from all,Blackmore is on fire,as are gillan and paice. Riff city expertly executed over the top rock. Just get it and play it loud,this is why I love rock and metal,this is why I’ve played bass for around 25yrs,this is what its about. AMAZING. Brian Metcalfe on Happy 25th Headless Cross!